Drop App Review: How Do You Use Drop and Is It Legit? Everybody loves shopping rewards apps, but with so many options out there, it can be difficult to know which one’s right for you. Drop is a rewards app that takes the hassle out of earning points on the things you already buy every day. Regardless of how you shop, you can get rewarded through Drop. The founders of Drop wanted to make shopping more rewarding for consumers, whether you’re a casual shopper or have multiple credit cards for specific stores. The company was created with millennials in mind, and by understanding millennial shopping trends, the creators developed a company that is truly rewarding for consumers. Drop allows shoppers to earn real rewards without the need to incur debt or additional interest charges. It’s easy to see why Drop has been featured as a top lifestyle app for multiple years in a row. Offering simple and easy to use rewards, consumers who use the app add a lot of value to their shopping experience. Here’s our Drop review and why you should download the app on your mobile device today. Click here to sign up for Drop and start earning rewards on your shopping today. How Do You Use Drop? Drop is one of the most popular mobile apps available today and offers consumers rewards for the shopping that they’re already doing. The app recently reached the top 3 in the Lifestyle category for Apple devices, and over 1 million users are registered. This app is incredibly simple and straightforward to use, which greatly improves the user experience. By partnering with top retailers around the world, Drop allows you to earn points when you make purchases using your debit and credit cards. All you need to do is link your debit and credit cards to start earning points. Drop will monitor your purchases and reward points when purchases are confirmed. Similar sites often require consumers to upload receipts after each and every purchase in order to redeem their rewards. If you don’t have a receipt emailed to you, it can be easy to misplace a printed receipt, and it’s not always convenient to upload a picture of the receipt immediately after your purchase. Drop eliminates the need to upload receipts, which means you get your rewards faster and you’ll get them every time you shop. Regardless of where you earn points, you’ll be able to redeem awards as soon as you have points in your balance. Drop recognizes the fact that we might shop at quite a few different stores in order to get the best deals. While traditional rewards programs focus on customer loyalty and shopping at the same place repeatedly, Drop rewards you virtually anywhere you shop. Drop is one of the easiest apps to use, meaning it’s that much easier to earn rewards for your shopping. The first step is to download the app (click here). Once you sign up, be sure to link the debit and credit cards that you use to do your shopping. Don’t worry, Drop uses 256-bit encryption to protect your sensitive card information. When you shop at your favorite stores, Drop analyzes your purchase information and rewards you for your shopping. No uploading receipts, no confirming purchases. You’ll be able to browse the app and select shopping offers at some of your favorite stores. When you meet the criteria for that specific offer, points are loaded into your account within a week. 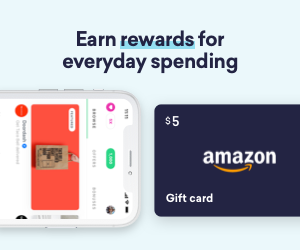 Keep earning points by shopping you already do, and check the app often to claim more fun and exciting shopping offers. All you need to do to use Drop is sign up, link your cards, select your offers, and start shopping. Redeeming rewards on the Drop app is the most exciting part of using Drop. For every 5,000 points you receive, you’ll be able to convert them into a $5 gift card. When redeeming rewards, you have to redeem your points in increments of 5,000. You’ll get varying points for every shopping offer you redeem, and when you link multiple cards, points will start to add up quickly. You can use these points as soon as they’re deposited into your Drop account, and you can use them to redeem rewards with some of your favorite stores and restaurants. Rewards also include things like discounts merchandise. Be sure to check the rewards store frequently as prizes and rewards are updated regularly. There are plenty of ways to earn points outside of shopping and redeeming offers. You can earn rewards points by referring your friends and family. Each referral that signs up through your personal referral link earns you 1,000 points. 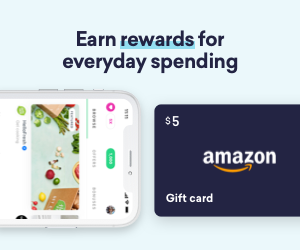 In addition to shopping offers through the app, you can also select LinkedIn and Mobile offers, adding even more ways to earn points with Drop. 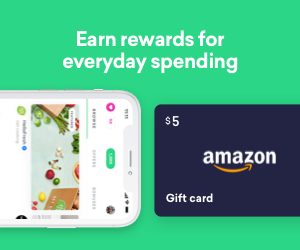 Drop partners with Carrot Rewards and Rocketmiles, and by linking your accounts to Drop, you can earn even more points. You’ll see bonuses and extras included with some shopping offers that allow you to earn more points, so check the app regularly and take advantage of special offers at your favorite stores. As we mentioned, the Drop app is incredibly intuitive, making your shopping experience that much more enjoyable. Signing up for Drop is a breeze, and you’ll be taken right to the home page where you can browse and select offers to redeem. You’ll be able to add and remove your debit and credit cards as you need, so you can always stay on top of your rewards. The app also allows you to quickly check your points balance, as well as use those points in the in-app store. The user interface is very straightforward, modern, and easy to navigate, making it a great option for any consumer. 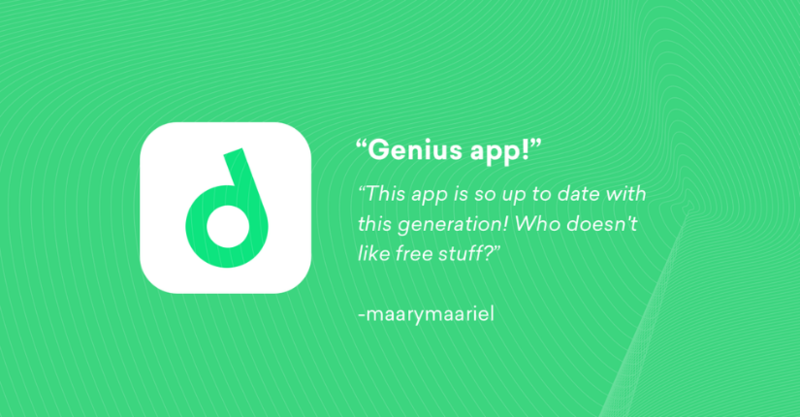 Experience what we have to say in our Drop app review by signing up right on your smartphone. Drop is changing the way that we shop. When you sign up for a loyalty rewards program with a specific store or restaurant, you’re typically rewarded for each time you shop or dine there, or by how much money you spend. With Drop, the power is in your hands. Drop has over 1 million registered users, and that number is growing every day. That means businesses are using Drop as a way to reach new and existing customers. These companies create their own offers that are specific to Drop in order to compete for your business. The Drop platform forces businesses to compete with one another for your business in a way that hasn’t been seen before. Stores and restaurants are tailoring new offers and rewards specifically for the Drop app, meaning you’re able to get some great rewards when you select and complete an offer. When someone completes an offer, Drop gets a small portion of the sale for connecting the customer with the business. Businesses get new customers, consumers get rewarded for their shopping, and Drop gets a small percentage of the earnings, making it a great deal for everyone involved. You’ll find countless stores and restaurants that have fun and exciting offers on the Drop app. Drop partners with some of the top companies in the world, including Amazon, Uber, Jet, Target, and Starbucks, to name a few. We mentioned how Drop makes money, which is by earning a small percentage of sales when customers shop and redeem offers in the app. These partners are able to use Drop as an effective marketing tool. The program creates rich engagement between consumers and businesses and has proven to be effective at growing a business’ customer base. In fact, virtually any company can contact Drop in order to launch an offer on the site, making it a great marketing tool for both small and large businesses. Recent updates to the app now allow consumers to browse all current offers rather than being limited to their tailored offers. 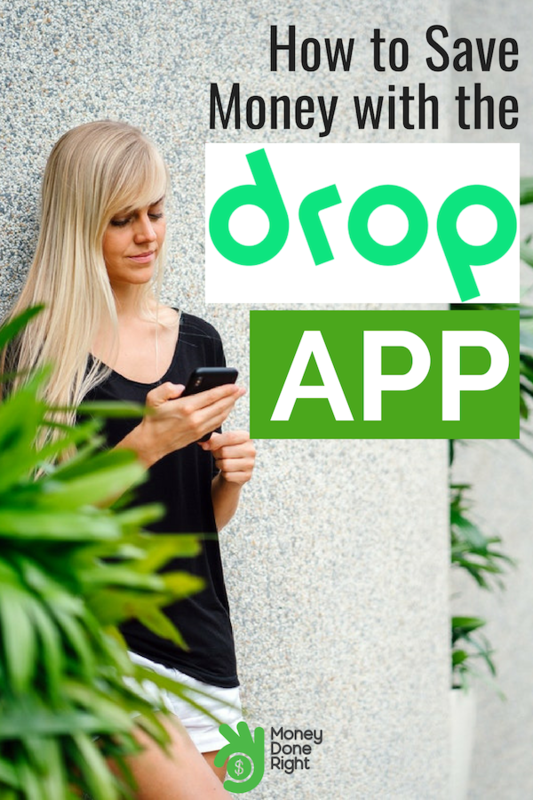 This allows consumers to discover new businesses and take advantage of exciting offers, while businesses can experience growth in the number of customers simply from being a part of the Drop app. Drop has a dedicated page right on the website where businesses can submit information to start an offer. Drop is a very unique shopping reward program in the sense that it allows consumers to browse offers and redeem rewards without having to do any extra work. In addition to minimal effort, users will experience a simple, clean, effective app that they’ll be able to use every day. Drop rewards are very generous, making it easy to rack up thousands of points in a single shopping trip. While this all sounds like it might be a scam, we’re here to tell you that Drop is a completely legitimate company that has rewarded countless consumers for their everyday shopping. You’ll be able to browse offers and redeem rewards right through the app, all while knowing that your information is completely safe. Drop uses 256-bit encryption to safeguard your information and never shares your information with their partners. Signing up for Drop (click here) takes just a few minutes. When you begin the signup process, you’ll be asked for your personal information, including your contact information. Then you’ll have the option to link your credit and debit cards to Drop so your purchases can be verified automatically. Next, you’ll pick your top five favorite brands. New offers will populate on your homepage based on this selection, so we recommend choosing the places you shop the most. If your favorites change, you can always browse the offers in the Drop app to take advantage of rewards offers at your new favorite places to shop. After you select your favorite brands, you’ll have the opportunity to select some of the bonus offers we briefly discussed. These offers include things like referring a friend or a one-time shopping bonus at a specific store. New bonus offers will populate regularly, so be sure to check the app and take advantage of bonus offers as they’re uploaded. Once you select your first bonus offers, you’ll be taken to the home page where you can review your recommended offers, browse other offers, and check your account balance. When you begin shopping, Drop will automatically scan and verify purchases on your cards and upload your points accordingly. Drop is a comprehensive rewards program that rewards shoppers for shopping for groceries, home goods, clothes, dining out, and so much more. The number of points you can earn each time you shop can vary, so check out the app and select new offers as they come through. Verifying your purchase is incredibly easy. The Drop app scans your debit and credit card activity for new purchases, verifies those purchases, and completes the offers for you. You don’t have to upload your receipts or confirmation emails to get your points. Once you link your cards, Drop takes care of the rest. When you get reward points in your account, use your points for fun gift cards to your places to shop. Overall, Drop is an excellent shopping reward program that everyone should use. The rewards are generous, there are countless stores to choose from, and the app is one of the best we’ve used.